This week we go up close with Karen Ziemba, currently co-starring in "Curtains". We talk to Romain Fruge of "Some Men," and writer/director Rob Urbinati. We also profile the benefit "We Tell the Story: The songs of Ahrens and Flaherty", Marty Cooper gives his impressions of "Legally Blonde" and we have songs and some exclusive in-studio performances! Romain Fruge created the role of Ethan in “The Full Monty.” He also appeared on Broadway in “The Threepenny Opera,” “Titanic,” “Tommy,” and “The Secret Garden.” He also appeared in the New York and national tour of “Big River” as Huck. “Some Men” is currently playing at Second stage for more info and tickets click here. 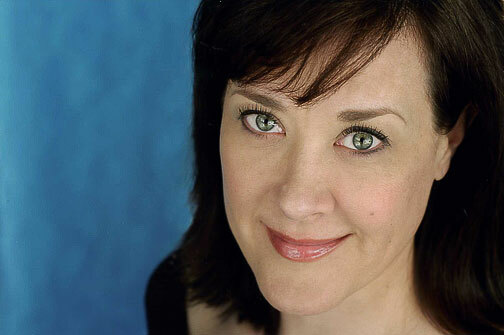 Karen Ziemba won a Tony, Drama Desk, and Outer Critics award for “Contact.” She’s also appeared in “Crazy for You,” “I Do! I Do!”, and “110 in the Shade” at the New York City Opera. Her relationship with Kander and Ebb includes the productions of “And The World Goes ‘Round” (Drama Desk Award), “Chicago,” and “Steel Pier” (Tony nom.). “Curtains is currently playing on Broadway. For tickets and more info click here . April 23rd & 24th – Annual Easter Bonnet Competition to benefit BC/EFA. For more info click here. May 4th-6th – Commercial Theatre Institute 3 Day Producer’s Workshop. For more info and registration click here. Also, check out our friends at Feast of Fools podcast! For more info and tickets to “West Moon Street” click here . For more info and ticket to “The President and Her Mistress” click here . This week Marty talks about “Legally Blonde” staring Laura Bell Bundy. For more info on “Legally Blonde” and to purchase tickets click here . “We Tell the Story” takes place Monday, April 30th. For tickets and more info call 347-262-4301. For more information on the New York Make A Wish Foundation please click here. Podcast Vol. 325: Nov. 26, 2009 – Fight Fest, She Like Girls, The Apple Trilogy & More!